When it comes to finding a professional and reliable taxi firm in Bookham, very few choices come close to ClockTower Cars. Designed for professionals and the local community, our service is centred around speed, reliability and value for money. Whether you’d like a transfer to one of London’s many airports, require transport to your next business meeting, or you’re looking to spend a day in Surrey, we’ve got you covered. The stunning village of Great Bookham in Surrey is one of six settlements between Leatherhead and Guilford. Home to attractions such as Polesden Lacey, the high street and a 1,000-acre National Trust Park, there’s something for everybody to enjoy. Locally, the Bookham Country Market, Community Association and Library can all be reached on foot. When you choose ClockTower Cars for your next journey, you won’t be let down. 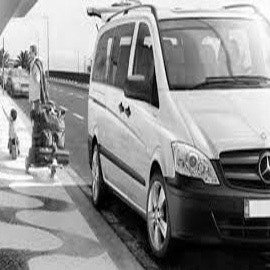 From corporate and wedding day transport to everyday trips, our fleet of vehicles offer something for every occasion. Don’t hesitate to get in touch to find out more. Our drivers have years of experience in Bookham and the surrounding areas. Before hiring, we vet each candidate and only work with the very best. Every member of our driving team has passed a Disability Awareness Course, DVSA check and has topographical knowledge. What’s more, each car is fitted with the latest GPS technology for accurate, reliable travel. 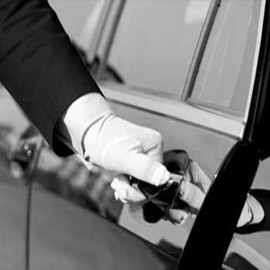 With the ClockTower Cars app, it’s easier than ever to manage your bookings on the go. 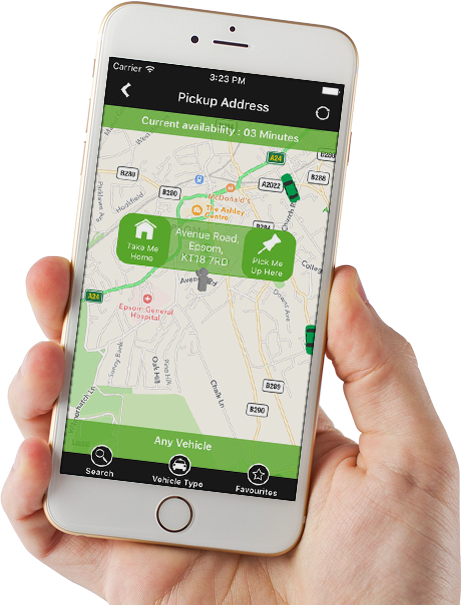 Download to your Android or iOS device to manage bookings, choose your vehicle type, pay for your services, track your booked vehicle and get live status updates wherever you are – it couldn’t be simpler to stay on top of your travel arrangements. For all of your minicab needs, choose ClockTower. Our transfer service covers all London airports, while our courier service gives you peace of mind and ensures your business documents and parcels arrive on time. We also run a fully-vetted school run service to speed up your mornings, as well as our full executive private hire vehicle service. Call the friendly ClockTower Cars team today on 01372 727 727, or click here to visit our online booking page. Alternatively, search ClockTower Cars in your App Store today. I use ClockTower a couple of times a month for airport transfers. Even when my flight was delayed, they were on hand to help and managed to find me at the right terminal. Cannot recommend the company enough! I’ve always been impressed with ClockTower. Been using them for several years, and never had an issue with their service. The best thing about ClockTower is its smartphone app. When I’m on the train and need to get a cab home, I can book my journey immediately.